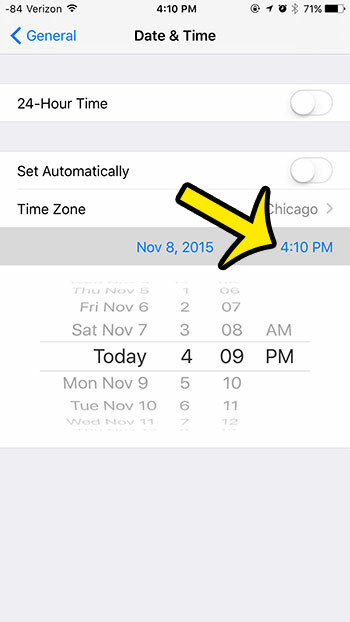 You can configure your iPhone in iOS 9 so that it automatically updates the time and date. This is helpful for situations like daylight savings time, or when you are traveling and switch time zones. But you may prefer to turn off the automatic time update, and instead prefer to control the date and time manually. 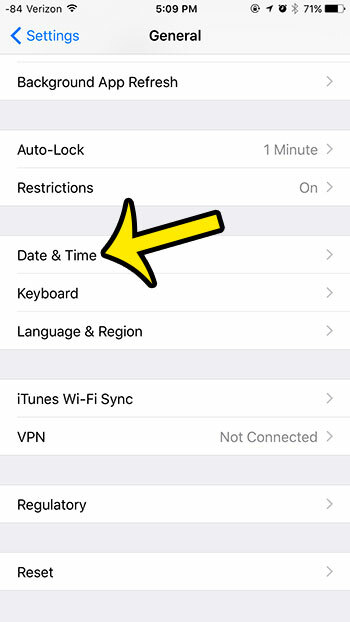 Our guide below will show you which setting you need to adjust to switch to manual date and time on your iPhone. 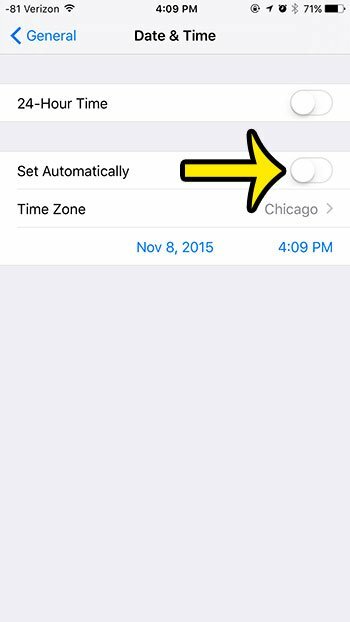 This guide is going to turn off the option to set timer automatically, allowing you to specify the time that your iPhone displays. 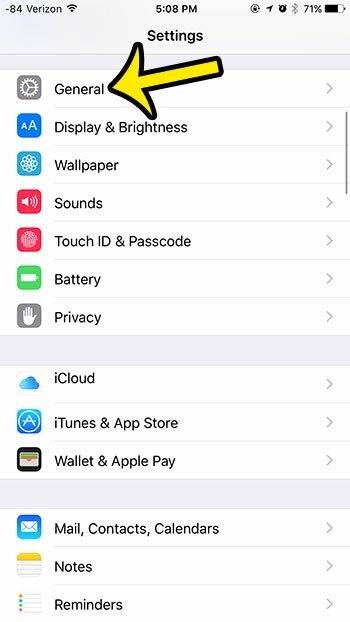 Note that the iPhone will not update automatically for daylight savings time when in this mode, nor will it change if you switch time zones. You will be able to set both the date and time when you have switched to the manual setting. Scroll down and select the Date & Time option. Tap the button to the right of Set Automatically to turn it off. 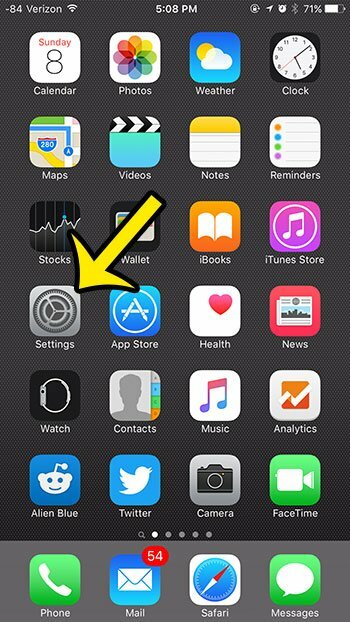 You will know that it is turned off when there is no green shading around the button. The iPhone in the picture below is set to manual date and time. Tap the blue time button, then use the wheels to specify the time. If you wish to change the date as well, then tap the date button to change it. When you have finished setting the date and time, you can tap the Home button at the bottom of the screen to exit the menu. If your cellular data usage is high, or if you are having problems with your battery life, then consider disabling Background App Fresh. Many of the apps that you use on a regular basis do not need to update in the background, so turning off the setting can improve both cellular data usage and battery life. Where Did the Top Menu Go in Google Docs?